Irene's appearance on satellite has improved* significantly the last two hours. 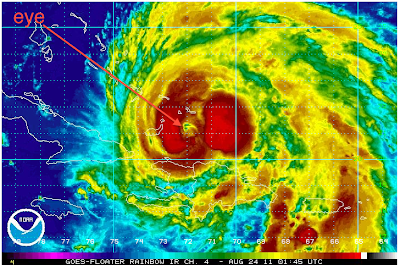 The eye has reappeared and I believe the storm is starting to strengthen. 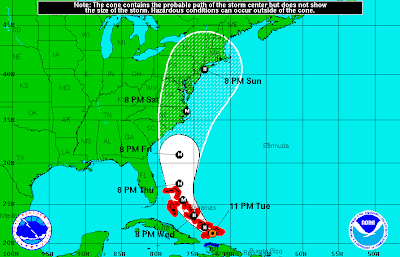 I'll be talking more about Irene on "Coast to Coast AM" in two hours. * In Warnings, I talk about how, in these situations, meteorologists' language inverts. 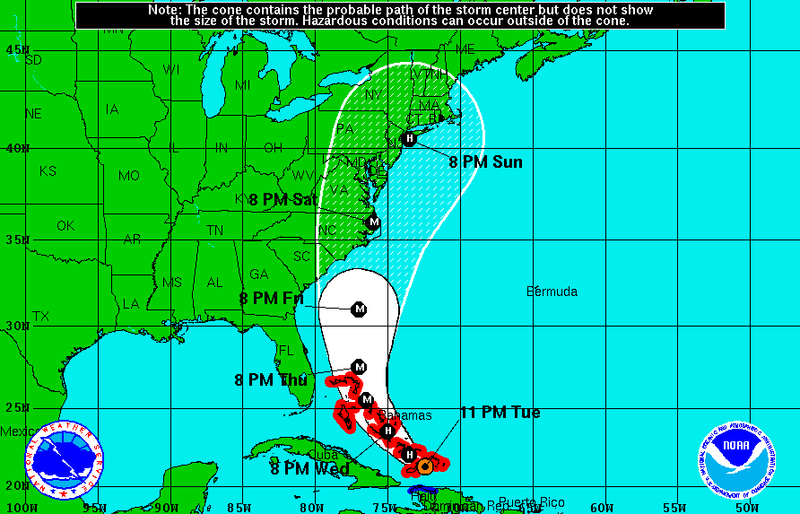 For example, "Hurricane Irene is looking better," when spoken by a meteorologist means Irene is getting stronger. A "normal" person would express the same thought as, "Hurricane Irene is looking worse."